You guys are great for moral support! With test day approaching in two weeks, I’m a mess. I feel confident and prepared one minute and nervous and stupid the next. One thing that should help is that Aaron will be taking Beatrix to visit his mom and stepfather in Montana for the week before the exam. I will be alone for an entire week, a prospect that both relieves and sickens me. I’m trying hard not to think about it. All of this reviewing, studying and preparation has resulted in a lightning fast pair of near knee socks! Pam and I traded some yarn back in Philadelphia and this is what I received. I thought lacy and/or cabled patterns would be too much for such a pastel so I found a neutral Nancy Bush pattern for the yarn. I’m slowly making my way through Knitting Vintage Socks and with this pair, I can cross off another pattern on my list. 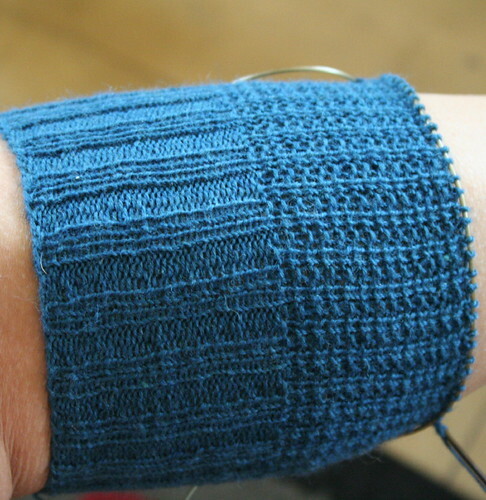 The texture comes almost exclusively from different alignments of 2×2 ribbing, which makes for an easy yet still interesting pattern. I always knit my own heels and wedge toes so those were the only modifications I made to the pattern. It was beyond ugly; it was truly hideous, actually. And since I was knitting mostly at the coffee shop where I study, I spent altogether too much time answering the question, “WHAT are you knitting?” and explaining to non-knitters that no, really, it will be a lovely pair of socks. I almost cast on for a second, more appealing looking pair just to avoid having to talk to people about my fugly knitting. But see? A lovely pair of socks! Actually, I just turned the heel on this sock so perhaps I’ll have another finished pair by the end of the weekend. Alright, that’s enough fun for now, exam prep calls. 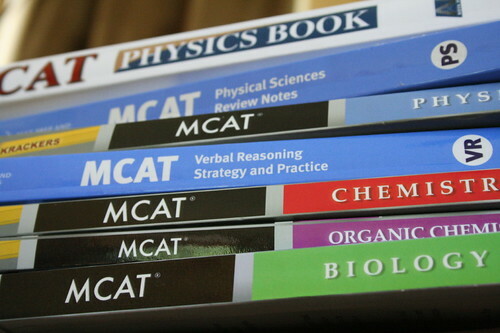 Thanks for your sweet comments about my remaining five weeks of dread MCAT preparation. I’ll let you know how it goes! Until then, there will be little in the way of knitting, sadly. We celebrated my grandfather’s 90th birthday in Cincinnati last weekend and rather than take the increasingly heavy aran sweater in progress, I decided to finally finish the Drunken Bee socks that Stella started for me so many months ago. No wonder we travel with socks – they’re so portable! 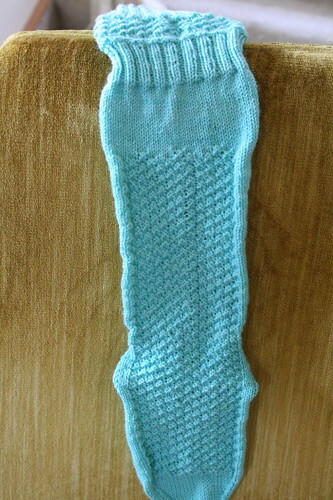 I finished the second sock on the way there! While this was a relatively clear pattern, I must say that I loathed knitting the honeycombs. 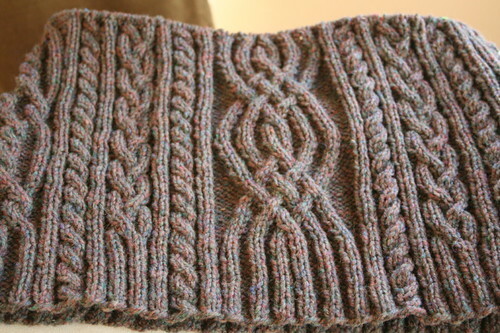 I could not keep track of the twisted stitch rows. I think this is the most intricate pair of socks I’ve ever knit (by “intricate” I mean, of course, there was no ‘knit every other row’ business). Since socks are usually my mindless projects, it took me a while to devote the time to finishing these. The beautiful pattern/yarn combination was what kept me going through all that honeycombing! I had never used STR before and now I understand the hype! It’s just marvelous to knit! We’ll see how it holds up to regular wear! Next up is some baby sewing I’ve been promising for too long. This is one last version of the Butterick B4712 pattern. I say last because I hate working with this pattern. The layouts don’t work at all with one-way prints, the armholes are too shallow in every size and the interfacing does not fit inside the dress in any of the sizes. After the first few versions of this, I just traced out my own interfacing. Overall, I’m pleased with the result but I most certainly would not recommend the pattern to anyone. 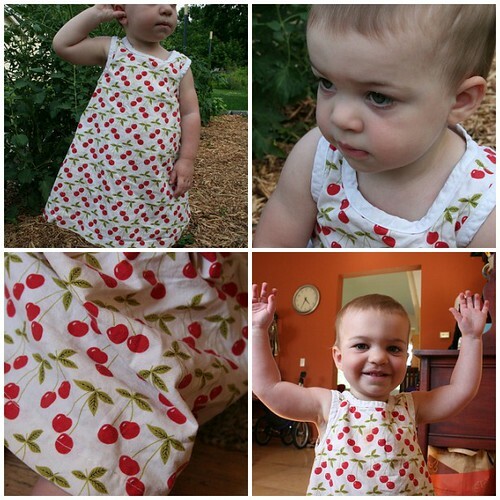 Baby tank dress patterns are so easy to find – you should look for a better one than this! Thanks for all of your input on the size I should choose for Aaron’s sweater! What a dilemma. After listening to the pros and cons of each size, Aaron assured me that he will wear any size I make. I agree with many of you that meeting halfway is probably fair enough so I cast on for the 41″ size. I really enjoy the knitting; however, my knitting time has been all but replaced by a looming MCAT test date of August 7th. I’m worried. Mostly because our childcare is going to be limited in July, we’re traveling to Cincinnati this weekend and Aaron has some big projects due at the end of the month. And because I scored low on the physics sections of my last two practice tests. Help! It looks like I will be working through a lot of physics problems in the next five weeks. I really want to score well enough to not have to retake the exam. Is that too much to ask?